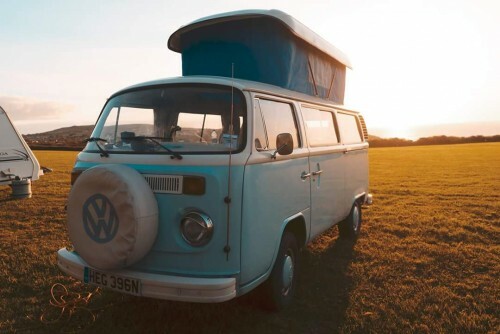 Hire a vw camper in East Sussex from one of the lenders on the county page below,who would be pleased to have you rent out one of their buses for your trip. East Sussex is a beautiful county and our campervans can be picked up from locations including Brighton and Eastbourne. We cater to people visiting all parts of the county including Hove, Lewes, Bexhill and Hastings or people in the these areas looking to rent a van. I am Hedgey, hire me today! 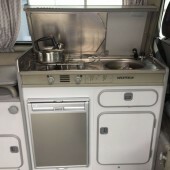 Hedgey is our T2 Bay campervan, living with us in Brighton. We have lovingly restored her over the last 5 years, giving her a real seaside feel with blue and white interior, beach hut curtains and surf board dining table! She's ready and waiting to take you on an adventure. Meet Peggy our Bahama Blue 1966 left hand drive Split screen camper van. Peggy is available for chauffeur Hire only.....Weddings and special occasions. Please send us a message with your requirements and we'll be more than happy to quote. Newly refurbished T2 bay window. LHD. 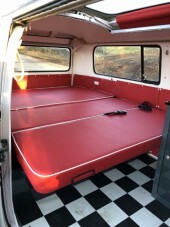 Full width rock n roll bed. 2 hammocks for children/small adults in pop up roof. Not a conversion, but an authentic VW California T5 (2005).